*This post is in collaboration with Colief®, however, as always, all thoughts and opinions expressed are 100% my own. Winter is here and ever since the clocks went back my boys have been suffering with rotten colds and permanent runny noses. It happens every autumn and winter and this year I thought I was doing well, giving them their vitamins and probiotics every morning to build up their immunity and keep them well, but no, the constant runny noses have not escaped us, sadly. As you can imagine, having a constant running nose can be very annoying and poor Beau especially is suffering bad, although he still manages to flash that cheeky smile of his whenever he can. 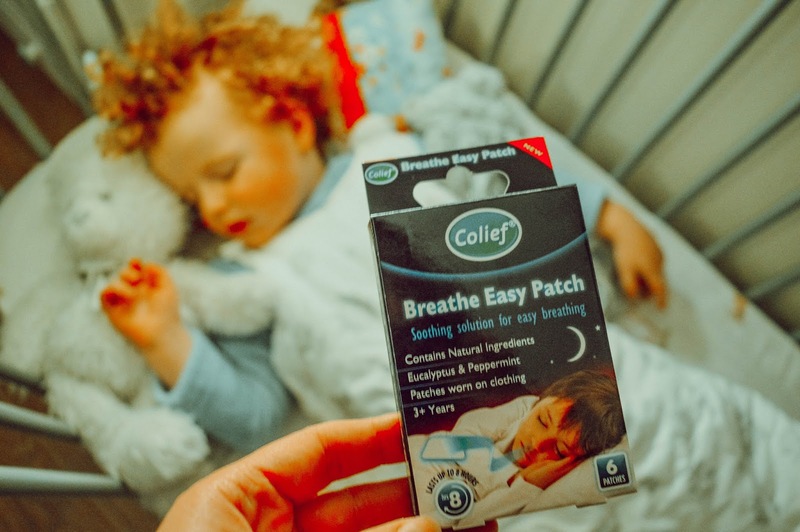 I am forever wiping his nose and trying to keep him as comfortable as I can through this awful cold which just won't seem to shift, and this is why I'm so glad I found Colief® Breathe Easy Patches. 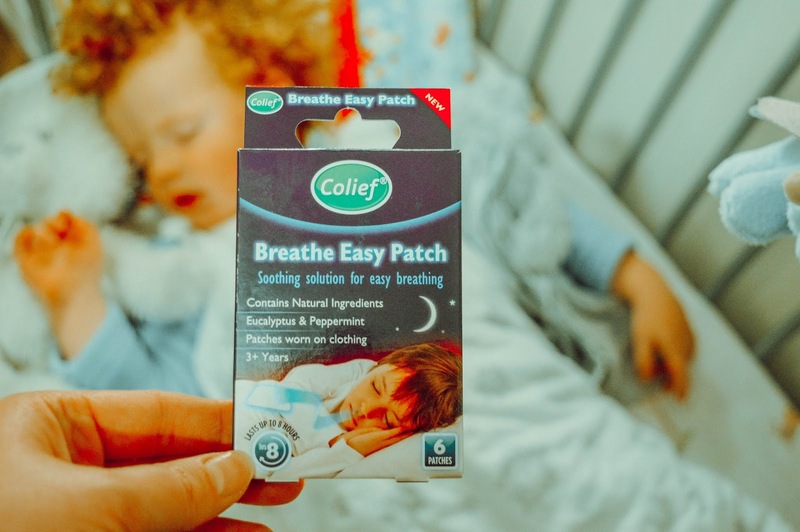 Colief® Breathe Easy Patches (€6.99) are gentle decongestant patches which can be worn on clothing or bedding to offer a comfortable solution for easy breathing. What I love about these is that they aren't intrusive for kids, there's no hassle involved with applying them and they're so effective, lasting up to 8 hours to provide decongestant relief for kids. The patches are single use and come in little sachets that tear open easily. I place these onto Beau's sleeping bag (as you can see) and onto Tyler's pyjama top and the boys drift off to sleep peacefully, getting relief for their stuffy noses while they sleep. Which means, even on their most awful of dealing with dreaded cold days, they still manage to get a good night's sleep - something which both they and I desperately need! 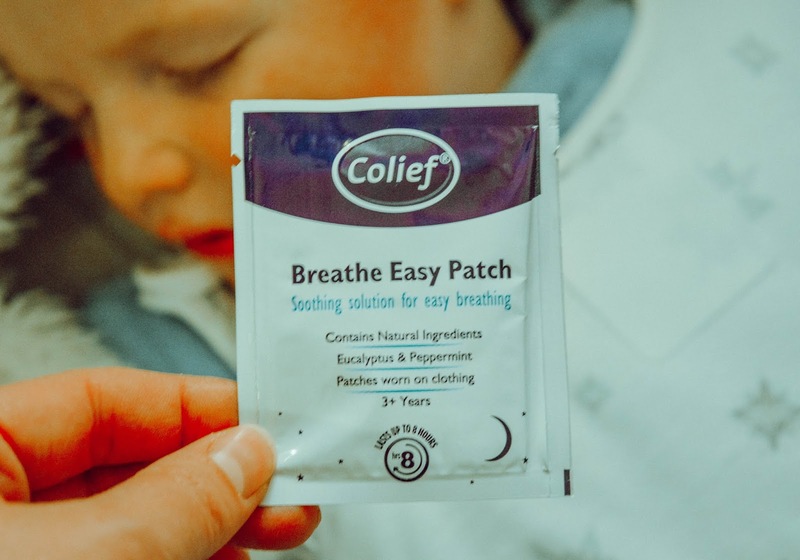 Each Colief® Breathe Easy Patch contains a unique formulation of natural essential oils including peppermint, lemon, eucalyptus and rosemary oils. Eucalyptus oil is one of the best natural remedies for congestion as it has an anti-imflamatory effect on the airways, making it perfect for relieving runny or stuffy noses in children. The other oils help to reduce discomfort and add naturally anti-bacterial and antiseptic properties to the product, which is great because we all know how grizzly those cold germs can be! 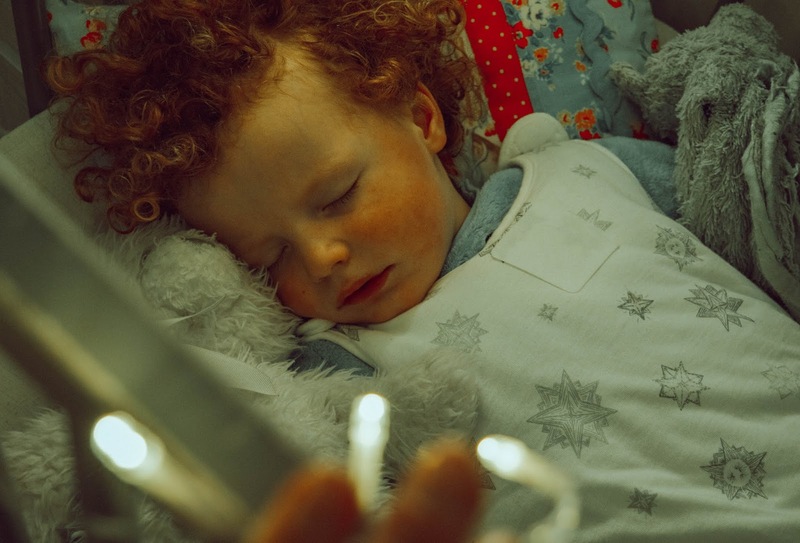 So here is Beau sleeping soundly last night, with thanks to the Colief® Breathe Easy Patch you can see on his sleeping bag. 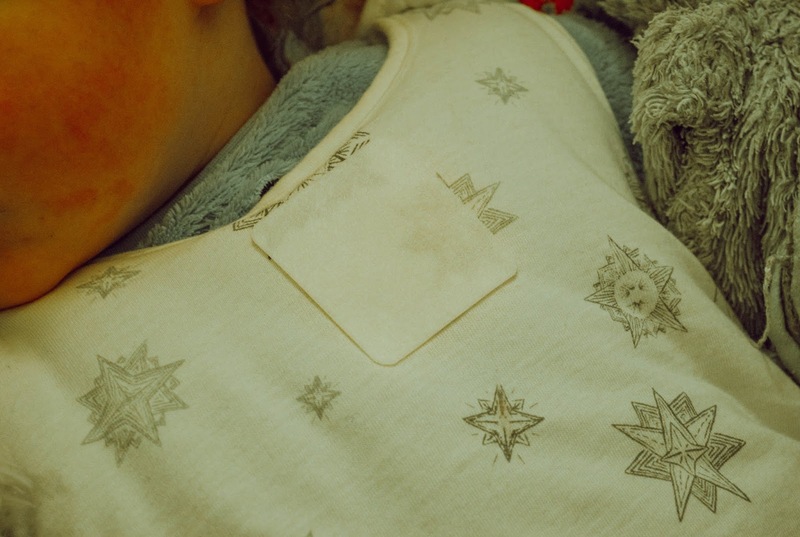 As a mother of young children, it's always great to find products that work well for kids from first use and I'm so impressed with these patches. I've been left nothing but satisfied and impressed with Colief® and their range of products for children. 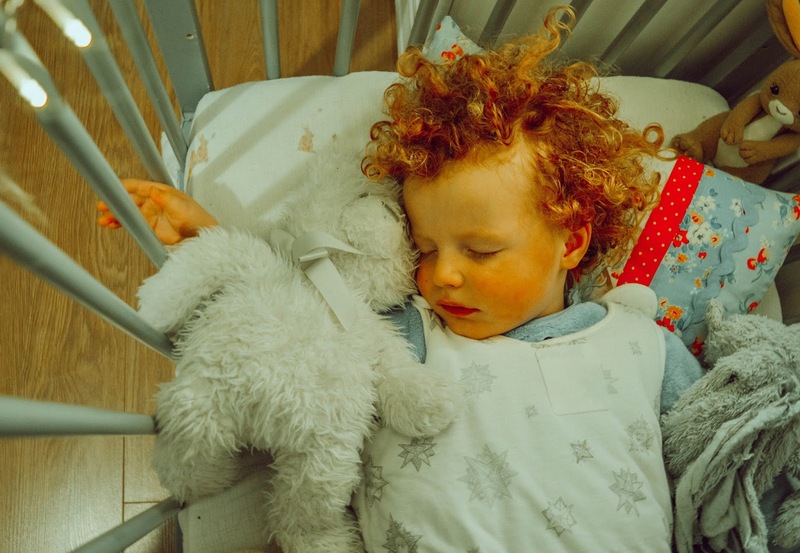 We previously featured their Baby Scalp Oil, which helped immensely in treating Beau's cradle cap and now their Breath Easy Patches are helping to relieve the boys stuffy noses during this never-ending cold season. Colief® products just work, fuss and hassle free and that's what we need in products for children. Our medicine cupboard is stocked up with these patches for the winter and judging by how quickly my boys pick up a cold and hang onto it, I can see them all being used before winter is over!